What Makes MailStore an Appealing Employer? Hicham Settah* has been working as a Software Engineer at MailStore since 1 January 2017. We asked him a couple of questions regarding his hiring and first impressions, the company culture, and the way we work at MailStore. Read on for his answers. How did you find out about MailStore, and what was your impression of the application process? What motivated you to accept the job offer from MailStore? MailStore sees itself as an agile company. How does that translate into our everyday work, and did that influence your decision to come on board? Would you recommend MailStore as an employer? If you could easily imagine yourself working in an environment like the one I described, you aren’t looking for an urban setting, and would prefer to commute to a more rural area for work without having to wait in traffic, then you’d absolutely love MailStore. In my experience, MailStore is a fair employer that makes an effort to ensure that I enjoy working, even when I’m under pressure from deadlines or when things get hectic. Hicham is a father of three. He was born in 1978 in Morocco and lives with his wife and children in the Lower Rhine area between Mönchengladbach and Düsseldorf. He came to Germany as a secondary school student, earned his secondary school leaving qualification there, and then studied at TU Dortmund University and TH Köln. He holds a diploma in computer science. At MailStore, this Software Engineer and qualified scrum master is primarily addressing product development. He focuses on developing new and innovative software. 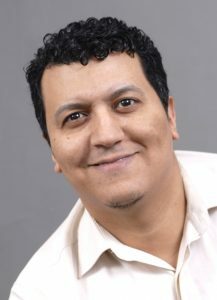 Alongside his professional and family life, Hicham is also pursuing a degree in Philosophy through the University of Hagen, a distance teaching university.